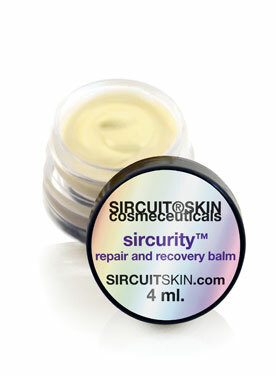 Sircurity™ is a therapeutic, soothing balm that dramatically replenishes hydration to dry, sensitive or compromised skin. This multi-functional, moisture-rich treatment creates a soothing and protective barrier, helping to keep your skin feeling soft and supple. Originally developed as a post-peel soother, it helps to soothe a variety of skin conditions, including extreme dryness. Renew and restore dehydrated or chapped skin instantly with this nourishing balm that works overtime to provide powerful hydration and comfort for dry, tight or distressed skin. Don't worry ... we gotcha covered! Nourishes the skin to help to relieve dryness. Hydrates and restores softness and elasticity. Improves the condition of peeling and chapped skin. Skin Type: Sircurity™ is ideal for those with irritated, hypersensitive, post-procedure, and/or post-treatment skin. Especially suitable for dry, chapped areas, lips, cheeks, hands, cuticles, knees and any area where a little TLC is needed. How To: Apply to affected area(s) as often as needed to reduce or ease discomfort. Pau D'Arco: It has calming properties and defense aspects to better equip the skin with natural protective benefits that help to support beautiful skin. 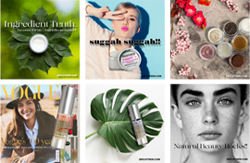 Tamanu Oil: An extremely soothing ingredient that is widely known for its ability to help to reduce and minimize imperfections while promoting clear, healthy skin. Evening Primrose Oil: Rich in Gamma Linolenic Acid, an EFA (Essential Fatty Acid) that has been used to help minimize imperfections and to improve the overall appearance of dry skin. ProSina: A peptide that helps to improve tone while promoting moisture retention and increasing skin hydration. Formulated With: Aqua (Water), Butyrospermum Parkii (Shea) Butter, Hamamelis Virginiana (Witch Hazel) Water, Glycerin*, Glyceryl Stearate, Caprylic/Capric Triglyceride, Stearic Acid, Cetearyl Alcohol, Cetyl Alcohol, Alcohol Denat., Hydroxypropyl Starch Phosphate, Oenothera Biennis (Evening Primrose) Oil, Rosa Canina (Rose Hip) Fruit Oil*, Cocos Nucifera (Coconut) Fruit Juice, Calophyllum Inophyllum (Tamanu) Seed Oil, Tabebuia Impetiginosa (Pau D'Arco) Bark Extract, Olea Europaea (Olive) Fruit Oil*, Lavandula Angustifolia (Lavender) Oil, Centella Asiatica (Gotu Kola) Extract, Epilobium Angustifolium (Willow Herb) Flower/Leaf/ Stem Extract, Hippophae Rhamnoides (Seabuckthorn) Oil, Prunus Amygdalus Dulcis (Sweet Almond) Oil, Vanillin, Retinyl Palmitate, Helianthus Annuus (Sunflower) Seed Oil, Tocotrienols, Tocopherol (D-alpha), Elaeis Guineensis (Palm) Oil, Aloe Barbadensis Leaf Juice Powder*, Lonicera Caprifolium (Honeysuckle) Flower Extract, Lonicera Japonica (Honeysuckle) Flower Extract, Hydrolyzed Keratin, Gluconolactone, Allantoin, Xanthan Gum, Citric Acid, Phytic Acid, Sodium Hydroxide, Potassium Sorbate, Sodium Benzoate. *USDA Certified Organic | NOP. Phthalate-free.